Dark Water is delightfully sly and playful when it comes to the two big twists at the heart of the story. Anybody with an internet connection knew that the Cybermen are coming back. They appeared in the “next time” trailer at the end of In the Forest of the Night. Although this could seem like a mess-up by the publicity department, shooting in central London in the era of camera phones and social media makes it seem more like that Moffat was in on the gag. Dark Water is built around a spoiler so ubiquitous that it could not be avoided by anybody connected to anything. Of course, even if the viewer was unaware of the return of the Cybermen, the episode drops quite a few hints. At points, Dark Water turns the reveal of the Cybermen into something of a recurring gag. In the seventies and eighties, quite a few Doctor Who stories with “Dalek” in the title would waste an entire episode getting to the eponymous monster. After all, a returning monster is generally the biggest deal of an episode, so it becomes the big dramatic beat that becomes the cliffhanger. It’s the point where you cut the episode to keep people watching. Dark Water makes the identity of the monsters as obvious as possible – more and more obvious as the plot advances. “These are tombs,” the Doctor reflects. The two circles on the wall in Seb’s office eventually become the joined circles mirroring a Cyberman’s eye sockets. The episode cuts from Danny’s eye to those two circles. As the Doctor storms through a double set of doors forming a Cyberman’s eyes, he muses, “Who would harvest dead bodies? I feel like I’m missing something obvious.” Murray Gold’s Cyberman music sting resonates in the background. The episode even has a bit of fun at its own rather relaxed pacing. A great deal of the plotting in Dark Water is convoluted so as to preserve twists that seem quite apparent from the get-go. In order to get the reveal of the Doctor bursting out of St. Paul’s Cathedral, the TARDIS is unable to figure out where it has landed. When Clara and the Doctor encounter Missy and Chang, they find their lines of inquiry blocked by stalling and dissembling. “Can you just hurry up please, or I’ll hit you with my shoe?” the Doctor demands. There is a sense that Dark Water is being particularly wry. 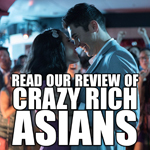 There is a phenomenal amount of wordplay baked into the premise. 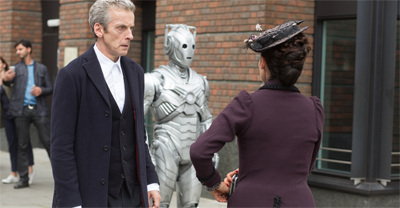 The episode is – as Missy herself observes – about “Cybermen from Cyberspace. Now, why has no-one ever thought of that before?” Missy points out that her pseudonym is simply about playing with word association – “Master” to “Mistress” to “Missy.” Even the eponymous “dark water” itself is a sly gag. It is a (literally) transparent plot device designed to murky the episode. Dark Water is a very self-aware piece of television. 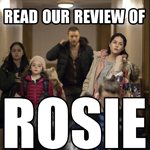 Not only is it built around relentlessly spoofing the structural issues with a two-part season finalé, but it seems aware of its nature as a piece of television. At one point, it is revealed that the human race can communicate with the dead – by listening to the “white noise” on television. The Doctor himself insists, “They’re not talking to you out of your television set.” When Danny is asked to give an important piece of information about Clara, he offers her birthday – the 23rd November, the show’s anniversary. There are even several references to Peter Capaldi himself, as distinct to the character of the Doctor. This makes a certain amount of sense; after all, Capaldi is the first Doctor since Christopher Eccleston to have a significant and defined career before Doctor Who. While David Tennant and Matt Smith had worked to varying degrees before taking the lead role, Capaldi is a very recognisable screen presence. Deep Breath made reference to Capaldi’s guest appearance in The Fires of Pompeii, within the context of Doctor Who. Dark Water makes a couple of references to Capaldi’s other iconic television creation – Malcolm Tucker from The Thick of It. The episode casts Capaldi’s The Thick of It co-star Chris Addison in a supporting role. When Chang reads the psychic paper, he is shocked at the language that the Twelfth Doctor employs out of the earshot of the listening children at home. “I’ve got a lot of internalised anger,” the Doctor deadpans. It seems like an invitation for fans to construct their own internal Malcolm Tucker monologues for the character. As such, the Doctor feels like a wanderer in dreams. It is a recurring motif of the Moffat era. In fact, the teaser sandwiched in the end credits of Death in Heaven for Last Christmas hints at the dream-like nature of that adventure, with the Doctor interrupted mid-nap. The idea that time travel and dreams are inherently linked has been explicitly broached in episodes like The Name of the Doctor or Last Christmas itself. This is hardly new ground for the show; in fact, it seems like a return to the surrealism of the Hartnell and Troughton eras. 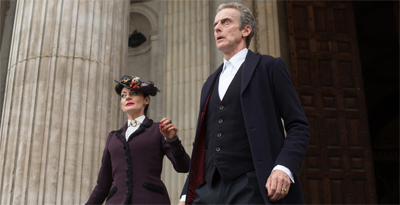 Dark Water continues this association, expanding the realms under the Doctor’s influence. 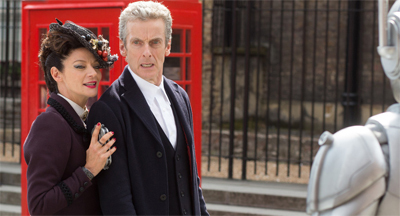 The episode allows the Doctor to visit Clara’s dream world so as to better understand her. However, he ultimately goes even further. The Doctor and Clara don’t just venture into dreams; they journey to hell. They visit the after-life. The Doctor and the TARDIS are able to navigate towards a place that seems like the next stage of human consciousness. This is more than merely travelling in time and space; this is travelling in abstract concepts. All of this is a way of touching on the idea that the TARDIS is not just a time machine; it does not just deposit the Doctor and Clara in a different place in a different time. Instead, it drops them into a different story. The TARDIS’ potential is restricted only by imagination. Most obviously, both Listen and Dark Water have the TARDIS flown by Clara’s ability to imagine and to dream. It is a wonderfully meta-fictional commentary on the show – perhaps pushing the TARDIS itself further than it has gone since The Mind Robber. The Davies era imposed more literal constraints on the TARDIS, suggesting that there were places in time and space where it could not go. It was a big deal when the TARDIS went to the end of the universe in Utopia and the Time War remained off-limits to the Doctor as “time locked.” In The Day of the Doctor, the lead character can fly his TARDIS into a painting; in Listen, the Doctor visits the end of the universe simply by switching off the safeties and Clara flies into the Time War using her imagination. Indeed, Dark Water draws attention to how much of the rules of Doctor Who are dictated by storytelling rather than anything approaching reality or science. This is broadly in keeping with the general aesthetics of the Moffat era as a whole. 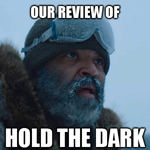 From this season alone, it is hard to argue that the science of Kill the Moon or In the Forest of the Night were grounded in sound scientific principles. Here, the eponymous liquid functions exactly as the episode needs, so as to best preserve the cliffhanger. Similarly, the TARDIS does not use any particular internal logic or reason in taking the Doctor and Clara to the mausoleum. “This is where your timeline is most likely to intersect with his,” the Doctor reflects. As such, he makes it clear that the episode is building towards that climactic conversation between Clara and Danny. The TARDIS lands wherever it is necessary to have that conversation take place. It operates by story logic rather than any internal logic. 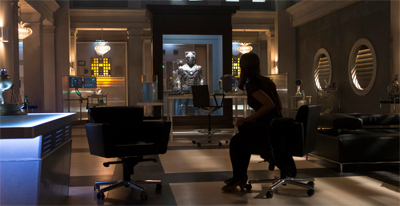 The TARDIS drops the Doctor and Clara into the story they need to explore. As one might expect from the season finalé following the fiftieth anniversary year, Dark Water is packed to the brim with imagery and iconography from the show’s past. The tombs are an obvious reference to The Tomb of the Cybermen. The Cybermen marching around London evoke The Invasion. As with a significant section of the surrounding season, there is a sense that Moffat is wilfully drawing upon the work of Russell T. Davies, playing with and teasing a lot of his predecessor’s tics and quirks. David Tennant seems to haunt the episode. Doctor Chang is dressed in a blue suit, which cannot help but evoke the Tenth Doctor. The by-stander who picks up the phone tells Clara, “I’m sorry… I’m so, so sorry.” Similarly, Clara’s hubris here evokes the later portrayals of Rose Tyler. “I am owed better,” Clara tells her grandmother. “I am owed.” This is the same attitude that led Rose to almost destroy the universe in Father’s Day, to tempt fate in Doomsday and to march across time and space to find the Doctor in The Stolen Earth. Indeed, the entire set-up of Dark Water owes a conscious debt to Army of Ghosts. The Cybermen exploit mankind’s anxieties about death in order to launch an invasion of Earth, masquerading as the deceased. There is a clear sense that the show is building towards Clara’s departure as her hubris mounts. The reveal of the Cybermen is only part of the episode’s climax; there is another classic Doctor Who adversary thrown into the mix because the Cybermen are a bit rubbish on their own terms. In Army of Ghosts, it was the Daleks; in Dark Water, it is Missy. To be fair, this Russell T. Davies influence is not unprecedented. 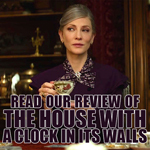 Moffat’s first season as producer was very clearly structured in the style of Davies’ previous four seasons; it was a nice link to the recent past, in a show that had changed its entire primary cast and its showrunner in one fell swoop. Perhaps for the convenience of introducing a new lead, this season seems to re-visit some of that formula. Still, it feels a little odd in the wake of the experiments of the previous two seasons, which saw Moffat has making the show his own. This year, there is a sense that Moffat is slyly playing with the groundwork established by his predecessor. He is approaching many of the same themes and ideas, just from a slightly different angle. If the Moffat’s first season mirrored Davies’ work as a way of presenting some sense of narrative continuity, this season seems to mirror Davies’ work as a way to demonstrate how far the show has come and how significantly it has changed. After all, Dark Water is an episode about how Moffat doesn’t seem to like doing Davies-style finalés. Dark Water and Death in Heaven are notable as Moffat’s first big two-part season finalé since The Pandorica Opens and The Big Bang at the end of his first year. Moffat’s season finalés – including The Wedding of River Song and The Name of the Doctor – are generally concerned with the collapse of the entire universe. The stars going out are a recurring end-of-season metaphor. In contrast, Dark Water and Death in Heaven are much more in the style of the two-parter “threat to mankind” season finalé seen during the Davies era. That said, there are some very clever touches here – some nice thematic developments. As the title of the second part of the adventure suggests, death is quite an important idea here. 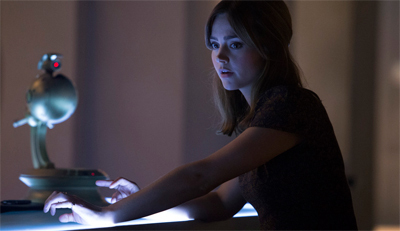 However, Dark Water firmly ties the fear of death back to Moffat’s fascination with primal fears. In Silence in the Library, the Tenth Doctor suggested that there was a reason that everybody is afraid of the dark. In Dark Water, it is revealed that there is a reason that everybody is afraid of death. “It’s the most fundamental fear in the universe,” the Doctor explains. There’s also something rather interesting in the afterlife as presented here – the “Underworld” or the “Nethersphere.” It is presented in the style of a Dyson Sphere, an entire civilisation mirroring our own – just pointing inwards rather than outwards. This has been something of a core conflict this season, particularly for Clara. Across the season, Clara has found herself struggling to balance her own inner life against the demands of the outgoing life of a Doctor Who companion. The suggestion that the final frontier is inside rather than outside offers a nice juxtaposition between Danny Pink and the Doctor. In a way, the eighth season is very much pushing Clara towards a choice between the two characters. Back in In the Forest of the Night, Danny argued that a single person can be more interesting than an entire universe. In a way, that is what the “Underworld” or the “Nethersphere” seems to represent. 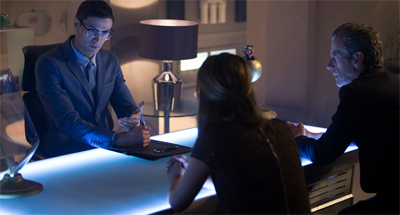 Danny focuses inwards on his own guilt, even as the Doctor and Clara face stranger and larger threats. And that is the beauty of Dark Water. The episode positively revels in how pointless the larger threat is. It is easy to figure out the identity of the two baddies at the heart of Dark Water. The big picture is quite easy to discern for the audience, even as the characters seem to miss it. At one point, the Doctor fails to notice that Missy has two hearts – what should have been enough to give the game away. At another point, Clara misses the Cyberman standing in the room with her while processing her conversation with Danny. The Doctor has no idea he is in St. Paul’s Cathedral. This is a recurring motif of the Moffat era as a whole; mysteries that are not mysteries, and epics that are not epics. The nature of Clara as “the Impossible Girl” was set up as a mystery, but the arc ultimately revealed that Clara was a person rather than a mystery. The destruction of the TARDIS in The Big Bang and the assassination of the Doctor in The Impossible Astronaut appeared to be stepping stones to a larger arc; instead, they were dismissed in a few lines of dialogue in the middle of The Time of the Doctor. As with a lot of the episodes around Dark Water, there is a sense that the Twelfth Doctor doesn’t really understand people – that he is particularly disconnected from the basic social norms. Most obviously, this is reflected his awkward “… and?” on being informed of Danny Pink’s death. (“Seriously?” Clara replies, as if just a little surprised at his callousness.) However, there is also the fact that he cannot identify the Master. “Do try to keep up,” the Master goads as the Doctor tries to piece together her identity about fifteen minutes after the audience has figured it out. There is something quite pointed about this. Once the Doctor confirms that his opponent is a Time Lord, she accuses the Doctor of abandoning her to her fate. It is a very pointed charge, one that clearly reflects the end of The End of Time, Part II. However, even with that cutting criticism, the Doctor has trouble identifying her. This makes a great deal of sense. The Doctor has left so many of his own people to their fate that it is hard to keep track at this stage. She could just as easily have been Romana or the Rani. The gender-swapping of the Master is an intriguing twist. On one level, it continues to build towards the inevitability of a female Doctor – something that Death in Heaven embraces, with a snazzy gag in the opening credits and the suggestion that the Doctor might be “queen” of the Time Lords one day. For all that the Moffat era has its feminist detractors, it has made a number of high-profile pushes for a female Doctor, easing the inevitable transition. In fact, this has been building since at least the reference to the Corsair in The Doctor’s Wife. Having the Master swap genders is a significant step. After all, the Master is perhaps the second-most iconic Time Lord in existence. Since this is the first occasion we have seen a major Time Lord character swap gender, it makes quite the impression. At the same time, Dark Water and Death in Heaven do not make too big a deal about it. There are some nice jokes about the gendered form of “Time Lord”, but mostly the episode just gets down to business. This is no more significant a change than the transition from Anthony Ainley to Derek Jacobi to John Simm. Watching Dark Water, there is some irony in the fact that the sexual tension between Michelle Gomez and Peter Capaldi is only slightly stronger than the sexual tension between John Simm and David Tennant. Missy never urges the Doctor to say her name, even as the episode offers their first proper kiss. After all, Missy very clearly keeps Chang as something of a pet – his more-than-passing resemblance to the Tenth Doctor is both hilarious and creepy in equal measure. The transition from Master to Missy is a very clear progression in the show’s attitude towards regeneration of major characters, and one that has the welcome side-effect of provoking all manner of internet discussion and disagreement. (Expect debates on what to call the character to rank with debates on numbering the Doctor after The Day of the Doctor.) However, it has also prompted some unwelcome (but sadly unsurprising) misogyny and transphobia from a small but vocal section of the fanbase. And yet, behind all this playfulness, Dark Water is a very well-constructed episode. After all, the big picture means nothing without a sense of scale. After all, unless you are invested in the story, it is all just pointless spectacle. It is a mad Scotsman ranting and raving about the end of the world; it is no different from match day. However, if you allow the story to become intimate and personal; if you focus on the people at the heart of the story, it becomes something altogether more compelling and more exciting. That is the beauty of Dark Water. It is not a story about Cybermen or the Master or St. Paul’s Cathedral. Instead, it is a story about try love and suffering and hurt and pain. Clara is wounded by the death of Danny; Danny is wounded by his own shameful secret; the Master is wounded by the Doctor’s earlier betrayal and abandonment. These are people at the centre of the story. Strip all that hurt and that personality away… and, well… you end up with Cybermen. 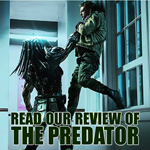 Excellent review, however I take issue with the “the Cybermen are rubbish” remark! They CAN be great (see Earthshock). I do need to go back to review the early Cybermen stories, because I do love those. There’s something horrifying about those simple face bandages, like they’re held together by gauze. And I’m one of the five people who would put Nightmare in Silver in the better half of the seventh season. But I think that the Cybermen are cemented as “the second tier Doctor Who baddies” from an event storytelling perspective. 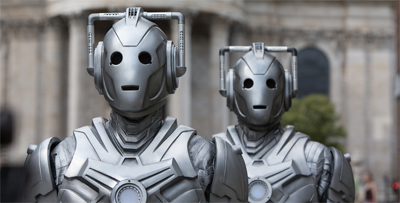 Arguably it’s been the case since Silver Nemesis, which was arguably Remembrance… with Cybermen! Still haven’t seen their first story. I do have Silver Nemesis, though, and, yeah. Has some good bits, but not McCoy’s best. I like the Tenth Planet, although they bear very little similarity to the monsters they would become. They seem a lot more alien and (to me) freaky with their fabric masks and their sing-song voices. I understand why the design evolved and why the show went the way that it did with them, but there’s something very eerie about the Cybermen in The Tenth Planet. 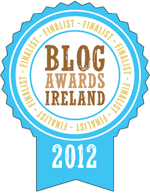 For me, this felt like an episode I have been waiting for – it had both intimacy and urgency. As events unfolded, it really felt like everything that was happening really mattered. The characterisation was unusually raw and the themes were unusually dark and brutal, particularly given the audience. But in a significant shift from the flip, fast paced, one-liner dependent style of most of the Matt Smith era – the writing and execution of the episode never once made light or under-sold the gravity of events as they unfolded. Taken on her own merits, Missy had all the camp ‘evil genius’ traits of previous incarnations of The Master – brilliantly acted with relish without tipping into total silliness – but also an unusual level of viciousness in her view of the doctor. I totally agree that the change in gender has done something interesting and provocative to the relationship – it feels bruised, broken and somehow more deeply personal. Capaldi’s acting (or, rather, reacting) in these scenes is quite brilliant – he is the Rod Steiger in this scene to Michelle Gonez’s Brando – much less showy, but with a quiet power that really strikes a chord, particularly with repeated viewing. The first 15 minutes had a real intimacy and took chances with the characters that I appreciated. Clara’s actions were extraordinary, but never once hit a false note. 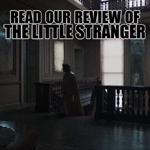 Which is a real testament to both the writing and the acting. Just as impressive – the final 15 minutes gradually built until that freight train of a cliffhanger – which worked not because of the surprise (plenty of people had figured out the plot twists and knew about the Cybermen), but because of the startling execution of this nightmare scenario unfolding as a reality for both the Doctor and Clara before our eyes; and watching them helpless to do anything about it. I haven’t felt this excited about the next episode of Doctor Who in quite some time. I’m really looking forward to Death in Heaven as well. Also, a rewatch of this! Ood observation but this episode had one of those touches that occasionally make me realise how much this is a foreign show made for slightly different cultural sensibilities – in the UK cremation is indeed the default, used in over 70% of funerals. Here (Ireland) while admittedly becoming more popular it is, irc, less than 20%. I knew the Cyberman were coming but they really were the dullest part of an otherwise excellent episode – the girlified Master and the artificial heavan are endlessly more fascinating than the giant silver zombies. Yep. The Cybermen are really the catch-all “we need an iconic monster but not something as big as the Daleks” monster for the show. Which is not a bad niche, given how much difficulty the show has had trying to reinvent them time and time again. After all, it’s either them or the Sontarans or the Autons. Using them as muscle for the Master is a clever way of getting around the difficulty defining a Cyberman identity, I think. It plays to their rather generic nature. And I did not know that about that about cremation. In many ways, this felt like a black and white Cybermen story — at least an homage to them. In most of the Troughton era Cybermen stories, the Cybermen are lurking in the background as a threat for the first half of the story and then they burst onto the scene to start wreaking havoc at the mid-point cliffhanger. This one pays homage to not only Tomb of the Cybermen, but also The Invasion in terms of its visuals. It feels like Moffat is not only trying to show his take on the RTD era finales (esp, that of series four) but also how he’d have done “Attack of the Cybermen” back in the day. That one required a near encyclopedic knowledge of Cyber-history to fully grasp (and it was difficult to have at the time since most of the Cybermen stories from the era were missing (at the time) or incomplete and not repeated). But it had callbacks to Cyber-lore in there. This one feels like it’s done better. Old school fans who eat up continuity winks and nods with a spoon like me love it. Those who don’t catch them don’t feel like they’re left out of the party — as I did many years ago watching Attack for the first time. 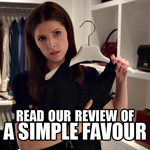 Yep, very much fitting with what you said on the Elogium review – a show that doesn’t have to choose between appeasing fans and normal viewers, realising both can be done (well) at the same time.